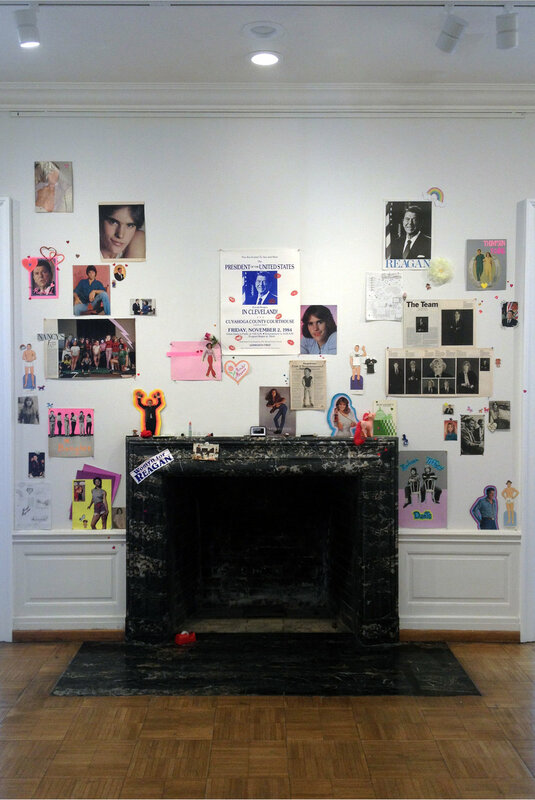 Created for the exhibition I Think We're Alone Now, Womyn for Reagan portrays the bedroom wall of a young girl in the early 1980s. She is naturally drawn to Ronald Reagan due to his liberal stances on gay rights, the ERA, and boys of Tiger Beat. Womyn for Reagan buttons were made available to the public. This installation was originally exhibited in conjunction with the Nancy paintings.